E-farms E-farms is a technology driven agri-financing and agri-learning platform. 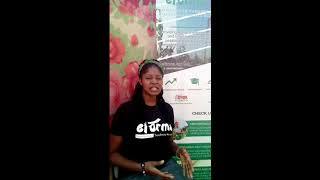 Efarms is an agricultural focused fintech company that crowdfunds capital through our platform-efarms.com.ng; from people with disposable income to fund smallholder farmers in need of expanding their farmholdings. But solving the problem of inadequate farm financing isn’t all that Nigeria’s leading peer to peer investment platform does; we are ensuring the future of agriculture by training and empowering a new generation of graduate farmers through our Farmers Academy. As a result, we empower farmers, reduce food insecurity and chronic youth unemployment, while transforming the economy. A passionate, meticulous and target-driven Entrepreneur.